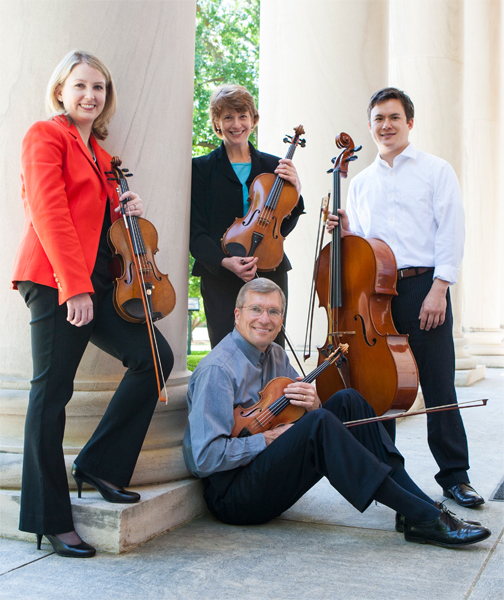 The Samford University String Quartet will present a free concert Tuesday, March 11 at 7:30 p.m. in Brock Recital Hall. The quartet–School of the Arts music faculty members Jeffrey & Angela Flaniken and Samuel & Caroline Nordlund– will perform Beethoven's String Quartet Op. 18 No. 1 and the Schumann Piano Quintet (adding Donald Sanders, piano).